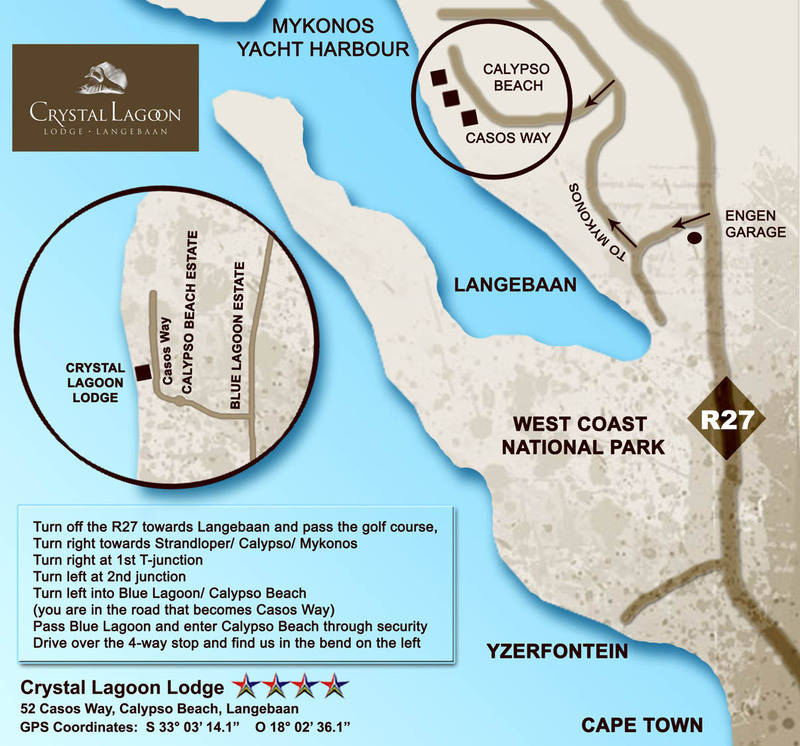 When visiting us, PRINT one of the following route directions from the R27 to Calypso Beach. 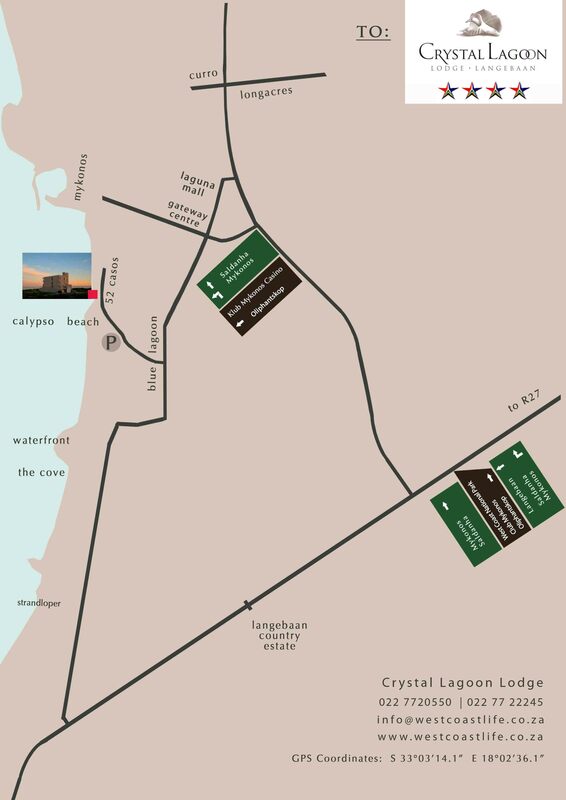 Should you print in black and white, rather print the map version on the right that is in black and white. 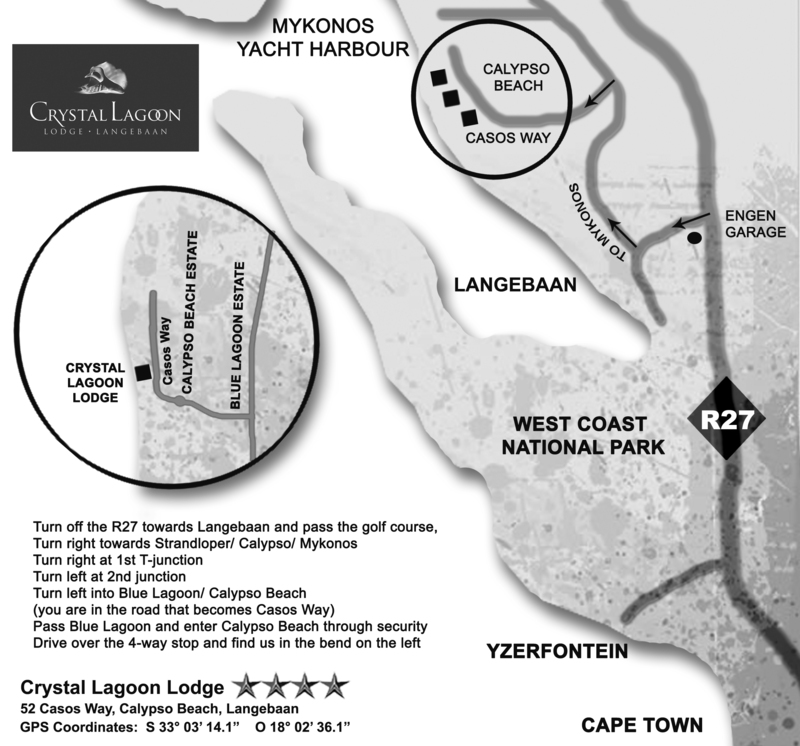 Yes, Seven Islands in the Langebaan environment… imagine a pirate hunt between the Islands, or be more realistic and do an idyllic Sunset cruise around the island in the lagoon, and anchor in the most beautiful bay in the world… and braai on a Yacht in the southern parts of the lagoon at Kraal Bay – visit our Yacht page!